Rare are the places where femininity is so present that it inspires a soft and calm pastel. Under the cherry trees, a unique Franco-Japanese restaurant is a constant poem with harmony and grace. 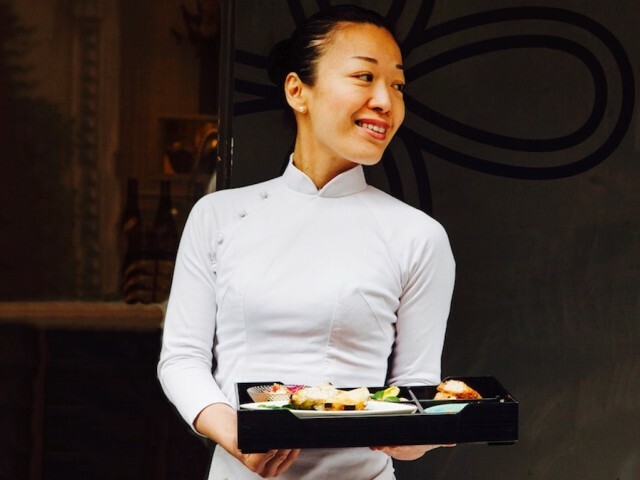 Sakura Franck, the chef-proprietor has the perfect detail, the know-how of the great and a double culture that she carries in her, as in her kitchen. Everything is refined, delicate and zen like a cherry blossom that would let itself be carried by the translucent water of a mountain river flowing in silence. The dishes are like ikebana and the menu harmonizes with chords of teas, subtle sake or Japanese whiskey. At noon, Sakura offers his "Zen" Bento at 19, 80 €.